In previous posts, I noted that the Supreme Court in McCrystal v The Minister for Children and Youth Affairs  IESC 53 (8 November 2012) (also here) held that the defendants had acted wrongfully in expending public moneys on a website, booklet and advertisements in relation to the children’s referendum in breach of the prohibition in McKenna v An Taoiseach (No 2)  2 IR 10,  IESC 11 (17 November 1995), and I explored exactly what was forbidden by the McKenna prohibition on intentional partisan government expenditure (see also the posts here by Paul McMahon and here by Laura Cahalane). In this post, I want to consider the constitutional basis for the that prohibition. The role of the People in amending the Constitution cannot be over-emphasized. It is solely their prerogative to amend any provision thereof by way of variation, addition or repeal or to refuse to amend. The decision is theirs and theirs alone. … no interference with that process can be permitted because as stated by Walsh J in … [Crotty v An Taoiseach  IR 713,  IESC 4 (9 April 1987)] “it is the people themselves who are the guardians of the Constitution”. As the guardians of the Constitution and in taking a direct role in Government either by amending the Constitution or by refusing to amend, the people by virtue of the democratic nature of the State enshrined in the Constitution are entitled to be permitted to reach their decision free from unauthorised interference by any of the organs of State that they, the People, have created by the enactment of the Constitution. 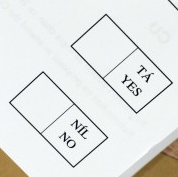 The use by the Government of public funds to fund a campaign designed to influence the voters in favour of a ‘Yes’ vote is an interference with the democratic process and the constitutional process for the amendment of the Constitution and infringes the concept of equality which is fundamental to the democratic nature of the State. The kernel of the case is the spending of public monies to promote one side in a referendum campaign. At issue are basic concepts of a democracy. … The Constitution envisages a true democracy: the rule of the people. This case is about the constitutional relationship of the people to their government. … I am satisfied that the government are not entitled under the Constitution or law to spend public funds in this way. To so do would be to infringe upon … [the] right to a democratic process in referenda. … Ireland is a democratic State. The citizen is entitled under the Constitution to a democratic process. The citizen is entitled to a democracy free from governmental intercession with the process no matter how well intentioned. No branch of the government is entitled to use taxpayers monies from the Central Fund to intercede with the democratic process either as to the voting process or as to the campaign prior to the vote. O’Flaherty J was more terse. For him, it was “bordering on the self-evident” that in a democracy “it is impermissible for the Government to spend public money in the course of a referendum campaign to benefit one side rather than the other”. Moreover, Hamilton CJ and Barrington and Denham JJ all made sweeping references to democracy and sovereignty not only in the companion Hanafin case but also in the subsequent Coughlan v Broadcasting Complaints Commission  IESC 44 (26 January 2000). Denham J’s approach in McKenna was adopted by Herbert J in Redmond v Minister for the Environment  3 IR 1,  IEHC 24 (13 February 2004) . And Hogan J’s judgment in Doherty v The Referendum Commission  IEHC 211 (06 June 2012) (blogged here) is a panegyric to the referendum process in civic democracy. In my view, for all that these are fine sentiments, they are rather nebulous, vague, and imprecise. As the proverb recalled by Toulson LJ in R (on the application of Guardian News and Media Ltd) v City of Westminster Magistrates’ Court  EWCA Civ 420 (03 April 2012) (blogged here) has it, “fine words butter no parsnips”. It is one thing to say that something is undemocratic; it is quite another to say precisely why this might be. There is no clear conception of democracy underpinning the majority’s references to it, and no strong explanation of why intentional partisan government expenditure is undemocratic. It is not enough for O’Flaherty to say that the matter is self-evident. If it is really is so obvious, it would not have been difficult to provide an adequate reason, let alone a compelling one. And that is entirely absent from all of the orotund rhetoric about democracy. Neither the Constitution nor the Act gives any other role to the Government. … It is reasonable, accordingly, to infer that neither the Constitution nor the Referendum Act, 1994 envisaged that the Government, once a Bill for the amendment of the Constitution had been passed, would have any further role to play other than to submit the Bill by referendum to the decision of the people. … I am satisfied that constitutional justice requires that the executive should act fairly in discharging it not favouring any section of the people at the expense of any other section. This would seem to be a minimum requirement for the discharge of any constitutional obligation. The people are entitled to be treated equally. … Has the executive observed fair procedures in submitting the amendment to the decision of the people? In my view it has not. The Government has not held the scales equally between those who support and those who oppose the amendment. It has thrown its weight behind those who support it. The basic point is that democracy requires fair referendum procedures and a balanced referendum process. It begins to become clear that the majority regarded intentional partisan government expenditure as undemocratic because it was unfair or unbalanced. In the words of the declaration the McCrystal per curiam, such expenditure is undemocratic because it is not “fair, equal or impartial”. A strong procedural conception of democracy plainly underpins this conclusion; and this conception is definitely beginning to butter the parsnips. If there is a duty on the part of the government to observe fair procedures during a referendum, and if intentional partisan government expenditure is a breach of these fair procedures, then this would be sufficient to justify a citizen seeking an order restraining it. This was the express basis only of Blayney J’s judgment. Had it been clearly articulated by the other members of the majority, then no more needed to have been said. But because this was only dimly perceived by the others, their judgments go one step further: they say that this breach of fair procedures amounts to a breach of the citizen’s constitutional rights; and it is this breach of the citizen’s rights that allows the citizen to seek an order restraining intentional partisan government expenditure. For Blayney J, the right in question seems simply to be a right to fair procedures, and this is echoed in Hamilton CJ’s reference to “fair procedures” in his judgments in McKenna, Hanafin and Coughlan. More strongly still, Denham J conjured up an unenumerated right to a democratic process in referenda, which she located in Article 40.3. The citizen has the right to be treated equally. This includes the concept that in the democratic process, including referenda, neither side of an issue will be favoured, treated unequally, by the government. And this was echoed in the judgments of the other three members of the majority. For example, Hamilton CJ held that intentional partisan government expenditure “infringes the concept of equality which is fundamental to the democratic nature of the State”. Blayney J held that “people are entitled to be treated equally” and he found that “the Government ha[d] not held the scales equally” in the referendum campaign. For O’Flaherty J, partisan government expenditure “breaches the equality rights of the citizen enshrined in the Constitution as well as having the effect of putting the voting rights of one class of citizen … above those of another class of citizen”. In purely instrumental terms, because all four members of the majority invoked notions of (political) equality, and because the O’Donovan right to an equal franchise is constitutionally secure, it would be best to regard the ratio in McKenna as relying upon the right to an equal franchise. 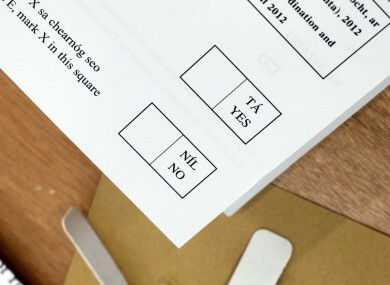 Indeed, in Coughlan, Denham J held that, in McKenna, “a majority of the court held that the Government’s use of taxpayers money to promote a yes vote was an interference with the democratic process and an infringement of the concept of equality which is fundamental to the democratic nature of the State” (para ). Hence, it would be best to regard the ratio in McKenna as relying upon the right to an equal franchise rather than upon any other right for which there may be support in only one of the judgments (such as Blayney J’s application of the right to fair procedures or Denham J’s unenumerated right to a democratic process). This is not to query the merits of those other rights; it is simply to say that they are obiter in McKenna, and that the right to an equal franchise forms part of the ratio of the case. In particular, it is the right which is breached by intentional partisan government expenditure. On this basis, the right to an equal franchise would seem to make the parsnips very buttery indeed. From all of this, it is tolerably (though only tolerably) clear from the judgments of the majority of the Supreme Court in McKenna that intentional partisan government expenditure is undemocratic because it is unfair, unbalanced, unequal or partial, and that it may be restrained because it therefore violates the right to an equal franchise. It will be interesting to see if the Supreme Court judgments in McCrystal handed down next month come to similar conclusions. The freedom to express opinions incorporates the corollary right that in the democratic process of free elections, public funds should not be used to fund one side of an electoral process, whether it be a referendum or a general election, to the detriment of the other side of the argument. (viii) The freedom to express opinions incorporates the corollary right that in the democratic process of free elections, public funds should not be used to fund one side of an electoral process, whether it be a referendum or a general election, to the detriment of the other side. (ix) The Government has a right to give information, to clarify situations, to give explanations and to deal with unforeseen matters and emergencies, but in doing so, public funds should not be used to favour one side in a referendum. (; see also (viii) and (ix)). In the same case, O’Donnell J referred to her McKenna comments on freedom of expression (). Similarly, in Jordan v Minister for Children and Youth Affairs  IESC 33 (24 April 2015) Denham CJ said that it was held in McCrystal that the unconstitutional expenditure infringed various rights including freedom of expression (). Moroever, Hogan J’s judgment in Doherty v The Referendum Commission  IEHC 211 (06 June 2012) (blogged here) is a paean to honest and fearless debate in a plebiscitary democracy. While I am delighted to see Denham CJ’s continuing references to freedom of expression, at best it amounts to a considered obiter in these cases. As such, whilst a great deal can be extrapolated from all of this, and I may do so at some point, I haven’t made anything of it in any of these posts. [For what it is worth, in the US, whilst the First Amendment may prevent the government from requiring an individual to subsidize a private message with which he or she disagrees (Abood v Detroit Board of Education 431 US 209 (1977); Keller v State Bar of California 496 US 1 (1990); US v United Foods 533 US 405 (2001)) it does not reach the Government’s own speech (Johanns v Livestock Marketing Association 544 US 550 (2005)). Under Abood, a public-sector union can bill nonmembers for chargeable expenses but may not require them to fund its political or ideological projects (Chicago Teachers Union v Hudson 475 US 292 (1986); Knox v Service Employees International Union 567 US 310 (2012)) – this rule was affirmed by an equally divided Supreme Court in Friedrichs v California Teachers Association (14-915) (29 March 2016))]. In McKenna, O’Flaherty J made what seems to me to be a related point, when he said that the public purse must not be expended to espouse a point of view which may be anathema to certain citizens, who, of necessity, have contributed to it. Murray J referred to this in McCrystal (); and Denham J asserted it as one of her 9 principles (see (v); (v)). But this seems to me to be an extraordinary overstatement, perhaps even an unwarranted hostage to fortune. Every aspect of governmental action will be anathema to someone, but that is not of itself a reason to invalidate it. To take an example similar to the facts of McKenna and McCrystal, government public health campaigns regularly involve advertising – say, advertising the health problems associated with smoking. Avowed smokers might find such a campaign anathema, and their taxes (not least the taxes on the purchase of the cigarettes) will have paid for the campaign. But that is by no means sufficient to allow a smoker to object that an anti-smoking advertising campaign is for that reason unconstitutional. (Revised 15 Dec 2012, 22 April 2016, 4-7 July 2016). In Ireland the person is both Sovereign and Citizen. The government, My government is only administrative. It err’s when Pat Rabbette and others say it is the sovereign. In other countries the Government may be such, here no. In the UK, the government is ER2’s government. It is hers in the possessive sense. Nonetheless, there is a persistence with the civil service and the professions to continue the colonial structure of the previous administration. So if you change that word from citizen to Sovereign you begin to see the distortion with the attitude of government. This is what the SC is on about. Read the preamble, not just the body. That makes plain the true position. Further, my sovereignty ‘is’. It cannot be diluted, removed or reduced. And it is bordering on sedition when members of the Dáil speak of a loss of same because of a debt.